This is a huge week for Jennifer Lawrence (The Hunger Games series). After breaking the internet yesterday with her essay on the gender wage disparity in Hollywood, the actress is making even more moves within her career – first dropping out of Richard Linklater‘s (Boyhood) The Rosie Project and now entering into negotiations to star in an untitled Darren Aronofsky (Black Swan) feature, according to The Hollywood Reporter and Deadline, respectively. The Rosie Project is an adaptation of Graeme Simsion’s novel by Michel H. Weber and Scott Neustadter (500 Days of Summer), and was to be a romantic dramedy tailor-made for the in-demand actress. Instead, Lawrence will likely be moving from one Oscar-nominated director (Linklater) to another as she sidles over to Aronofsky’s latest project. 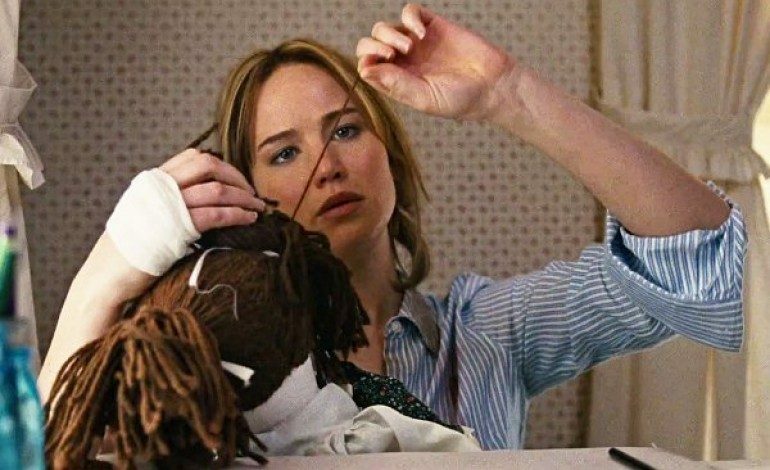 Based on the director’s past films like Black Swan or Requiem for a Dream, this story will likely be much more heavy in tone and feature Lawrence in a role starkly different from anything she has done since her breakout in Winter’s Bone (for which she landed her first Oscar nomination). Aronofsky’s last trip to the theaters with 2014’s Noah didn’t produce his best turnout; however, if his next film follows in the footsteps of Black Swan, which earned Natalie Portman an Academy Award for Best Actress, this could be a great move for Lawrence. In the meantime, Sony will now have the difficult task of filling Lawrence’s shoes for The Rosie Project. This is the second high-profile film as of late that Lawrence has dropped out of, the first being the adaptation of the best-selling memoir The Glass Castle, for which Brie Larson (Room) has just been cast. The actress will be finishing out the year starring in the final installment of The Hunger Games franchise, Mockingjay – Part 2, as well as in David O. Russell‘s Joy. She has recently wrapped on what will be her final appearance as Mystique in X-Men: Apocalypse, and is now filming the sci-fi movie Passengers with Chris Pratt (Jurassic World). If the deal with Aronofsky goes through, production will likely begin sometime next year once her schedule opens up.